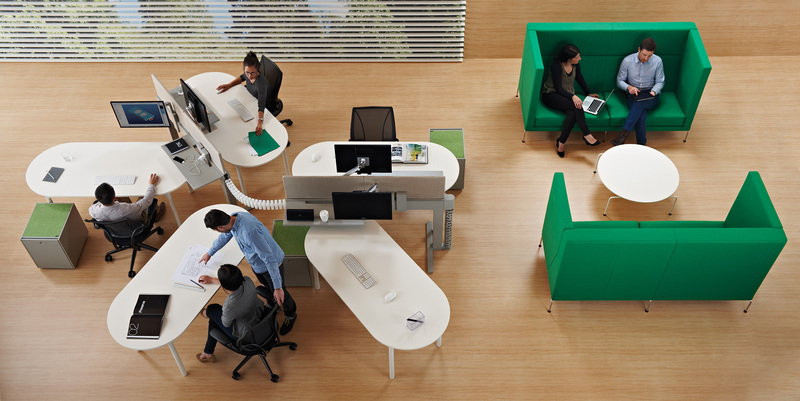 Today’s workplaces are fast, innovative and high performance environments. 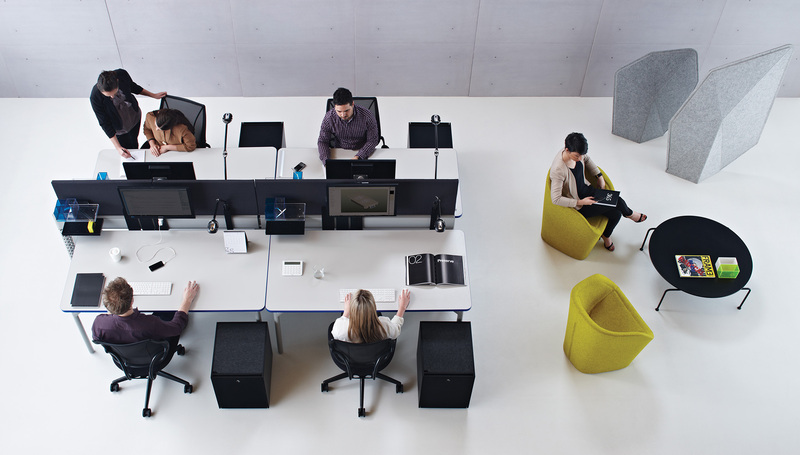 As the needs of the modern office change, the furniture we use every day must also evolve, allowing for greater flexibility, productivity and wellbeing. A malleable workplace furniture platform, Climate enables organisations, teams and individuals to shape their working environment, allowing them to re-mold and re-arrange it to suit their needs. Able to replicate every major planning configuration used in the past 20 years, it can even bend around difficult fixtures like stairs and columns to maximize space. Whatever context you work in, Climate will keep your team comfortable.